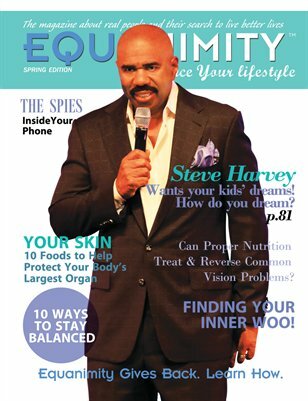 Equanimity Magazine Spring Edition is all about setting meaningful goals. Knowing how to set meaningful goals is vital and helps you stay balanced. When you set goals, you must believe in yourself and stick to your goals. No one deliberately sets themselves up for failure. Setting goals is all about planning and working the plan. Cover model Steve wants your kids’ dreams! How do you dream? It’s all in this edition.